Please go to our ‘Events’ section photo gallery to see table centre arrangements, ceremony flowers etc. Vases on hire, price includes set-up. – Stems bound with bullion wire. Please note all vases, urns, stands, plinths and candelabra are on hire. Missing or broken items will be charged for. 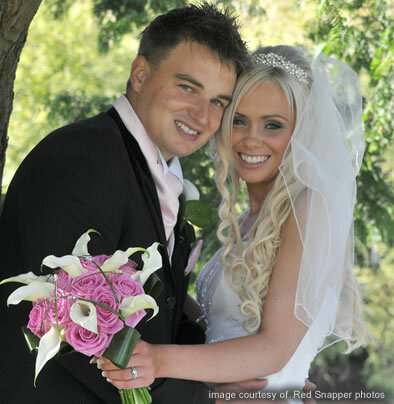 Blooms for Business provide flowers for weddings in Brighton and surrounding areas.